NPS photo by Jacob W. Frank. Light pollution affects everybody! The good news is that light pollution, unlike many other forms of pollution, is reversible and each one of us can make a difference. Here are a few easy, practical solutions to combat light pollution locally, nationally and internationally. 1. Check the outdoor lighting around your home. Is it really needed? If not, turn it off! If so, make sure that it’s fully shielded. That means that it’s directing light down on the ground where it’s needed and not up in the sky where it’s not. Bad (unshielded) lighting wastes energy, money and creates unnecessary greenhouse gas emissions. If you need new lighting, check out our database of IDA dark sky approved light fixtures. 2. Talk to your neighbors. Often folks with bad outdoor lighting just don’t know that it’s a problem. We have lots of public outreach materials that you can use to help your community learn why good outdoor lighting is so important, including a guide on how to talk to your neighbors and a new IDA brochure that you can download or we can mail to you. 3. Become a citizen scientist and help measure light pollution in your community using mobile apps or just your eyes. No experience necessary! The data that you collect is used by scientists across the globe to better understand the levels and implications of light pollution. 4. Become a member or supporter of IDA. We couldn’t exist with you! Our members and supporters are the heart of IDA and their generosity contributes to more than half of our annual budget. More importantly, by becoming a member or supporter, you’ll be part of our global family working to protect night skies. 5. 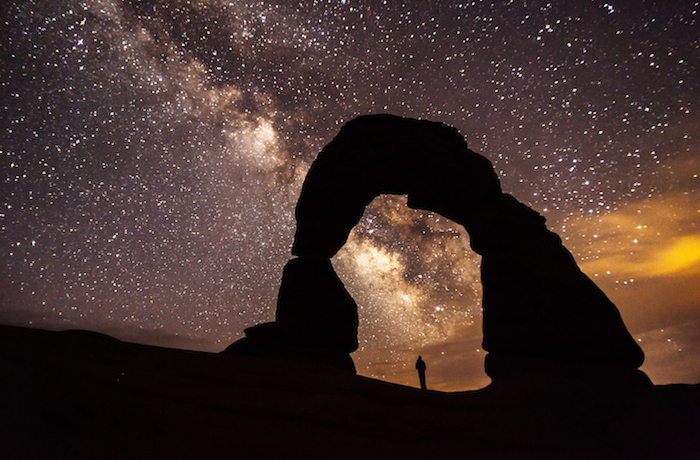 Spread the word to your social media network – starting with sharing this blog post – about the importance of protecting the night sky. And encourage your friends and family to sign up for our email list. That way they can stay up-to-date on all things light pollution and dark skies. Everyone can make a difference! The challenge is getting people to invest in the issue and take action. Anything that you can do to raise public awareness can help.